If you're looking for a design that bridges the heavens and earth, or a design that symbolizes the cycle of rebirth, consider getting a tree of life tattoo. This tree is found in many world religions, can be styled in a number of different ways and is the perfect adornment for any part of the body. 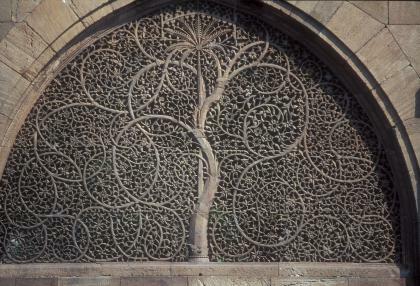 Nearly every culture from China to India to the Early Christians calls a particular type of tree, the tree of life. Along with these various trees come various ways of depicting this symbol. No matter what meaning you attach to the symbol, there is a tattoo design that can reproduce these meanings for you. A tribal tree of life tat can be as simple or complex as you'd like to make it. Typically, the roots and branches of the tree move toward one another to form a circle around the trunk of the tree. This circle may be twisted, braided or formed into the shape of a knot. A tree of life tribal tattoo is typically black in color, and highly stylized. The Celtic version has many meanings including Wiccan, Christian and ancient text illustrations. The Celtic tree can be tattooed with the trunk depicted as knot work, or the branches and roots weaving together to form a knot around the tree itself. One way to produce a tattoo of the tree of life to mean the connection of living things, fertility or rebirth is to have the image of a person or people inside the trunk of the tree. Two people embracing, or the face or body of a single person included in the lines of the tree are two ways to show this image. Whether you select the Christina tree of life, the acacia, or the Chinese version with a dragon at its base, make a tattoo of the tree of life simple by reproducing the tree's details and making them the focal point. Extend the bare branches and the roots equally while including details of the tree, religion or culture you are honoring. Weave images personal to your life into the branches of the tree, or into the lines of the trunk for a personal tattoo. This tattoo symbol has so many meanings it is more than possible to add your own to it to make your tattoo completely unique and your own. Because the tree of life tattoo typically forms a circle or oval shape, try locating it anywhere on the body where a natural circle is formed. Shoulders, hips, calves or the small of your back are all natural areas to show this unique image. Wherever you decide to get your tattoo, take the time to fully embrace the image and make it your own. No matter what its meaning to others, your tattoo should always mean the most to you.